ABS Master smith, Audra Draper crafted this Utility knife. 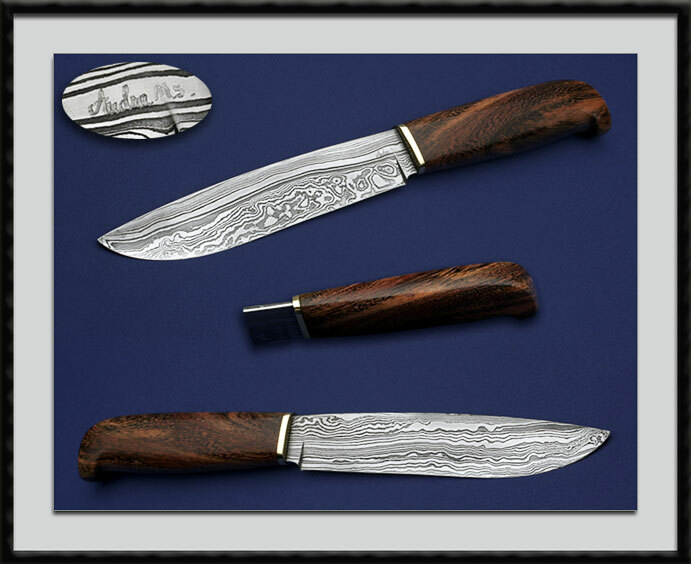 Draper 2 Bar Random Pattern Damascus blade, BL = 5 7/8" OAL = 10 3/8", Brass Guard and an Iron wood handle. Condition is Pristine with Audra's MS stamp.